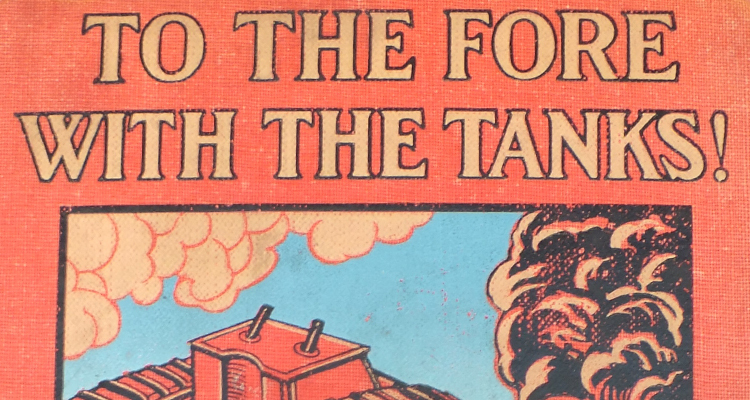 Cambrai tested the Tank Corps in various ways, but also encouraged experimentation and innovation. This article discusses the development and usage of wire-pulling tanks. 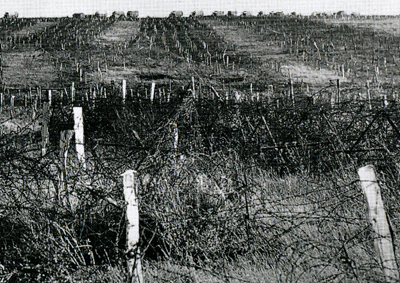 The Hindenberg line at Cambrai was heavily defended by, amongst other thinks, thick belts of barbed wire. While generally tanks crushed this, allowing the infantry to walk over it, horses would not walk on the crushed wire. Therefore a new solution had to be created – wire-pulling tanks. 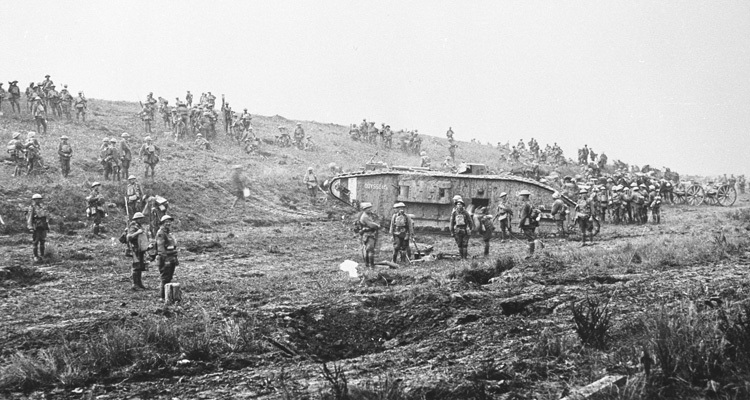 The role of the cavalry in the Battle of Cambrai was to flank the towns the tanks were attacking, therefore blocking methods of communication, as well as occupying points of tactical importance, such as potential crossing points over canals and areas of high ground. Behind the first wave of battle tanks which passed over the wire, were a collection of tanks specially altered to removed it for the cavalry. 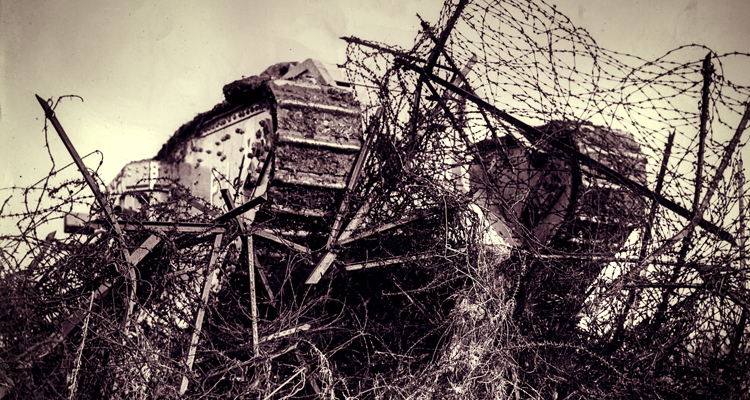 Each tank was fitted with a grapnel and steel cable, which would be dropped while going over the wire. A Mark IV female virtually covered in wire, with the grapnel just visible. This seems to have been a trial, but it shows what a wire-pulling tank could do. Were wire-pulling tanks a success? It was later discovered that the wire-pulling tanks had not been quite as successful as was claimed. 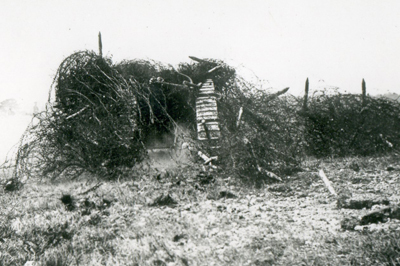 Broken coils of barbed wire and other odd items were discovered, often caught up in tufts of grass and since even this could be a hazard to horse’s legs it sometimes proved necessary to dismount attacking cavalry and use wire cutters to clear it out of the way. A wartime grapnel from a wire-pulling tank, recovered from the battlefield and displayed on a nearby farm. 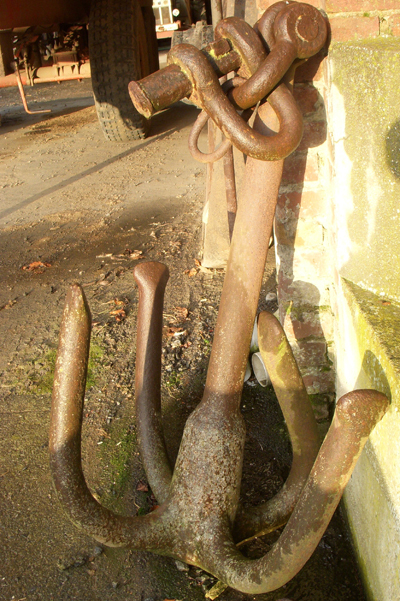 The shackle, still attached at the top, shows how substantial this equipment was. Even with the wire gone there were other things that slowed down the cavalry. A man on a horse presents quite a large target and they discovered that when the tanks and infantry had advanced they did not necessarily drive all the enemy troops ahead of them. Many others had gone to ground in deep dug-outs, notably in the village of Ribecourt for instance, and once the tanks and infantry had passed through they emerged, with their weapons, ready to engage whoever was following. Thus cavalry often came under fire from machine-guns and snipers firing from buildings where they’d been hidden, often emptying a few saddles and holding up the advance until they were dealt with. As a result, by the time it began to get dark on a winter’s evening they had not got very far and were reluctant to go on. The northernmost brigade reached the village of Fontaine-Notre-Dame, but that’s as far as they got. The two brigades lower down soon discovered that most of the bridges were down over L’Escaut Canal so they could go no further either. Haig’s dream of exploiting the successful advance of the tanks by a further advance by the cavalry was doomed to failure. There were exceptions of course. 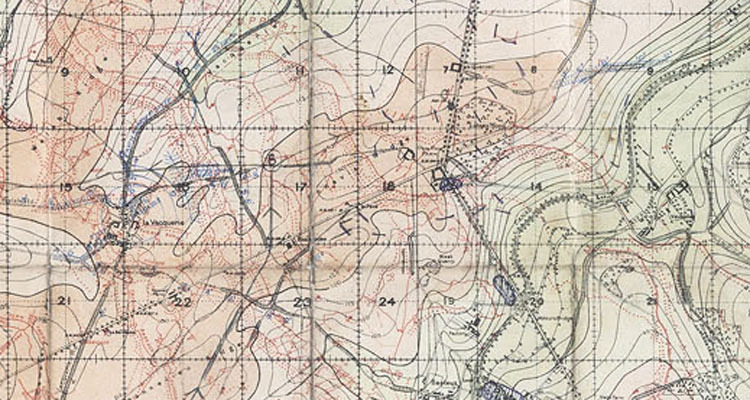 B Squadron, The Fort Garry Horse, managed to cross the canal on an improvised bridge close to one of the locks and continue the advance in the gathering gloom, but even they were brought to a halt by a combination of wire and machine-gun fire and the survivors made their way back on foot. 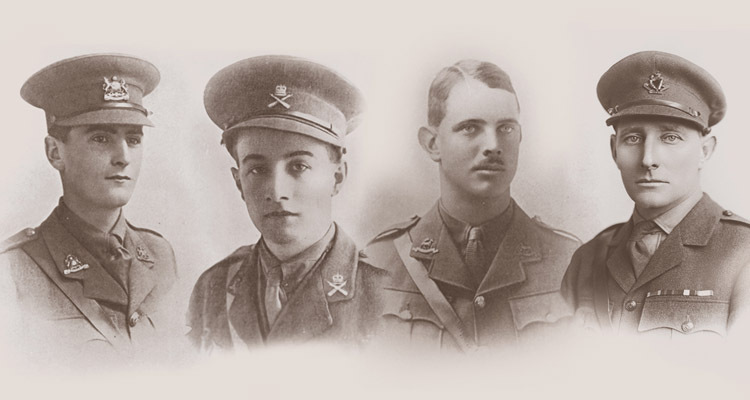 Their leader, second-in-command Henry Strachan earning a Victoria Cross for his efforts. 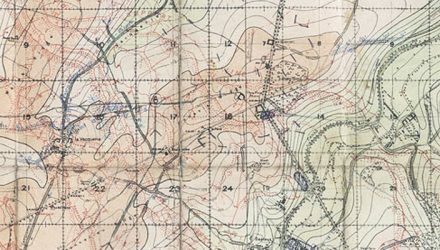 There were other obstacles the Tank Corps had to counter – read about Bourlon Wood and the Shooting Box here.